Yusuf Lasun, the Deputy Speaker of the House of Representatives, says he will not leave the All Progressives Congress inspite of losing the party’s governorship primary in Osun State. Lasun came second with 21,000 votes, while Alhaji Gboyega Oyetola, the Chief of Staff to Governor Rauf Aregbesola, won the primary with 127,017 votes. 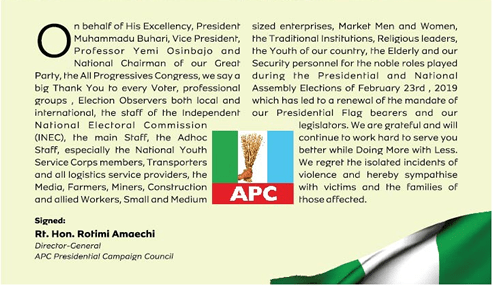 “We will do our best to support the party during the September 22 (governorship) election. “We hope the party members will be able to put behind them all that happened during the primary,” he said. He said: “I did not congratulate the winner of the primary because when I became the deputy speaker in 2015, the party did not congratulate me.